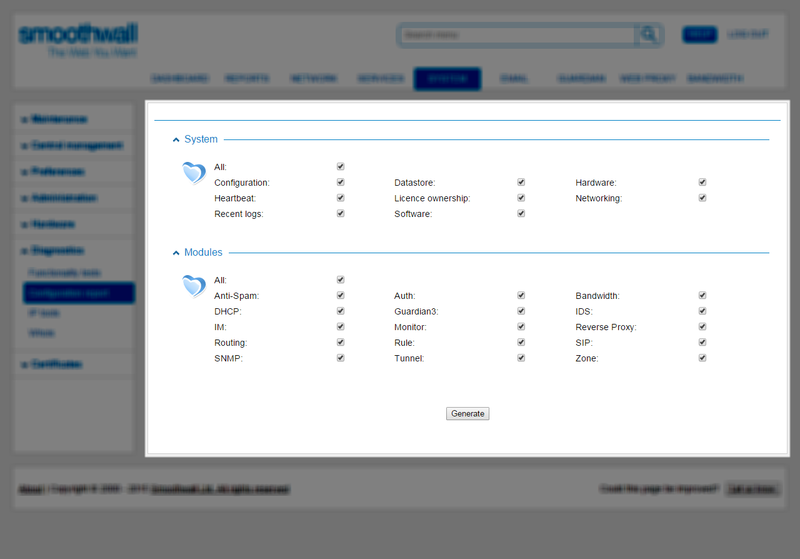 You can export the Smoothwall’s system configuration to a text file, for example, to aid troubleshooting. 1. Go to System > Diagnostics > Configuration report. Note: By default, all configuration options are selected to be included. However, the export options available are dependant on the configuration of your Smoothwall. 2. Clear the selection for those options that you do not want to export. When prompted, save the results in a suitable location for review.